A truly wonderful traditional blocks walker in a fire engine design. 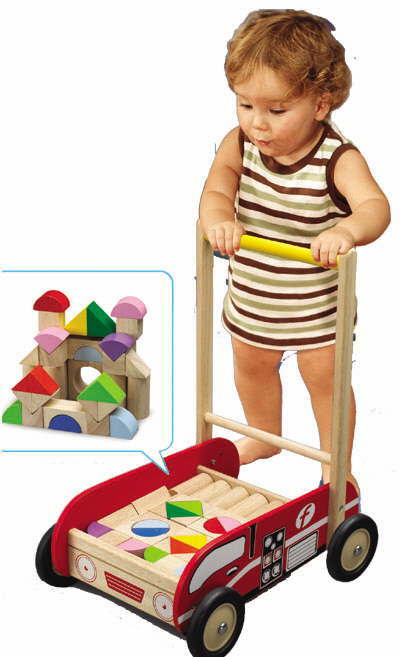 The baby walker comes with various shapes ideal for learning and building towers, encouraging counting skills, colour and pattern skills, whilst also encouraging your little ones tender steps! The fire engine baby walker features a unique friction system that prevents the child from going too fast and reduced the risk of tumbling down. Parents can adjust to allow faster speed as the child gets older.